For many organizations, 3-dimensional Product Lifecycle Management (PLM) systems play a key role in the design and manufacturing process. However, poor IT performance and application crashes will dramatically reduce the efficiency of any new product research, improvement, and development efforts. In highly competitive markets, delays in the new product pipeline can cause financial losses and brand damage, sending out a negative message about your ability to innovate. The IT team must therefore ensure that PLM systems are optimized at all times. One of the common use cases we see with our customers is the need to validate major IT changes made to the end user computing environment. In one recent CAD environment example, our customer had installed a PLM upgrade over the weekend following their usual application testing cycles. Aternity provided the IT team with the metrics to validate whether or not the update was successful, and if it improved the performance for their end users. As seen on the dashboard example above, the ‘Neighb[orhood],’ search slowed down, but ‘Load M[odel],’ speed improved dramatically. Without any communication from end users, the IT department could immediately see the positive and negative impact of the upgrade. Whatever your chosen PLM system, Aternity End User Experience Monitoring (EUEM) makes it easy to monitor exactly how your PLM processes are performing from the end users’ perspective. Instead of focusing on application availability within the data center, EUEM provides complete clarity into how the application is being used by your IT-dependent workforce. This enables organizations to build the best-in-class infrastructure from the CAD workstation, across the network and within the data center to ensure the best possible user experience. 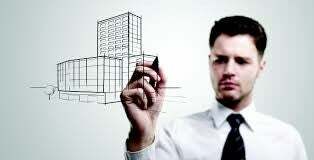 The IT department can use Aternity to define and measure the most important functions of an application. For example, Aternity monitoring can show how much time is required to perform particular business-critical activities within your PLM system. In the above example, Aternity measures how much time it takes to load a model structure from your PLM system. On average, the system will load the model within 34 seconds. Aternity can then compare this response time with other variable factors across the enterprise. 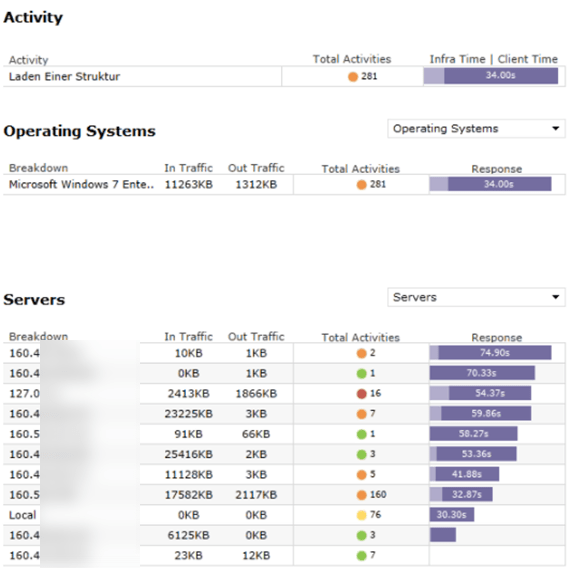 Default dashboards make it easy for the IT team to detect commonalities in bad performance, for instance, identifying if a specific server being used in the load process is slowing down the process, network, or client. Aternity’s flexible EUEM solution gives the IT department all the power it requires to analyze multiple factors, such as performance of the hardware model. In the example above, it takes longer for the HP EliteBook to load than the HP Z840 Workstation. But is the device hardware to blame? Further analysis shows some reasons why the laptop loads more slowly than the workstation. Key reasons were that the EliteBook was mostly connected via Wi-Fi to the network whereas the workstation was using a LAN connection. So, if you have mission-critical applications, whether specific to your industry sector or to your organization, Aternity EUEM will help you better understand precisely how they are performing across all user sessions. You’ll benefit from the detailed information and analytics you need to make better decisions on how to improve performance and validate the impact of change initiatives across your IT – including your innovation and R&D processes. With Aternity End User Experience Monitoring (EUEM), your business will learn how to drive forward, not backwards, in order to ensure a better user experience. Get to know Aternity by viewing this video and additional resources here. I also encourage you to take 15 seconds to register for a free product evaluation today.